You probably thought the gluten-free diet was tricky enough already. But did you know that there are different, well, levels of "gluten-free-ness," and choosing products that meet the standards of the more stringent levels may decrease the odds of you getting glutened? Yup, that's right: you can have foods with "no gluten ingredients," foods labeled "gluten-free," and foods that are certified gluten-free. And then you have plain whole foods ... which, believe it or not, aren't always completely risk-free, either. Why Does This Matter? Doesn&apos;t &apos;Gluten-Free&apos; Mean Gluten-Free? Unfortunately, it does matter to a large percentage of us. Lots of people react to trace gluten in foods that don't seem to have gluten ingredients or even those that are specifically labeled "gluten-free." Since the terminology manufacturers use to describe different levels of, shall we say, "gluten-free-ness" can be confusing, we've prepared this cheat sheet to help you decipher these different levels and labels in the real world of your local supermarket. We can start here: if the product clearly contains wheat, barley or rye on its ingredients label, then you know to steer clear of it ... no further questions needed. It's definitely not gluten-free. Next up is the grey area of foods with no obvious gluten ingredients, some of which actually are labeled "no gluten ingredients." If the food you're considering has no gluten ingredients listed, that doesn't necessarily mean it's gluten-free — it could be subject to considerable gluten cross-contamination at the factory. This risk may or may not be disclosed in a "shared facility" or "shared equipment" allergen warning on the label. If the product doesn't sport the "no gluten ingredients" statement, it even could contain hidden gluten in the form of barley or rye — remember, manufacturers must disclose wheat, but they don't need to disclose the other two gluten grains. With the growing popularity of the gluten-free diet, food companies have an incentive to label products as "gluten-free," but won't take a chance on products they haven't tested or which might be cross-contaminated. Proceed very carefully when trying foods that don't appear to contain gluten ingredients, but are not labeled "gluten-free." Now it gets a bit easier. The U.S. Food and Drug Administration requires foods that are labeled "gluten-free" to contain less than 20 parts per million (ppm) of gluten, and testing has shown that the vast majority (around 95%) are in compliance. Therefore, almost all the products you buy that are labeled "gluten-free" will contain fewer than 20ppm (also known as GF-20) of gluten. Now, that doesn't mean it's not possible to detect gluten in some of those products — the available testing technology will find gluten down to about 5ppm, or GF-5, levels. Still, many of these products actually will be well below GF-20 levels — some probably have 10ppm or even less trace gluten. However, others will come in right at 19ppm ... and there's no way to know which is which. Again, proceed with some caution, especially if you're more sensitive than average. These represent the next step up from products simply labeled "gluten-free." Gluten-free certification programs require companies to meet strict standards for sourcing "clean" ingredients and for avoiding cross-contamination. In addition, the programs may (but don't always) require more stringent gluten testing levels — depending on the program, manufacturers must test to less than 20ppm (GF-20), less than 10ppm (GF-10) or less than 5ppm (GF-5) of gluten. 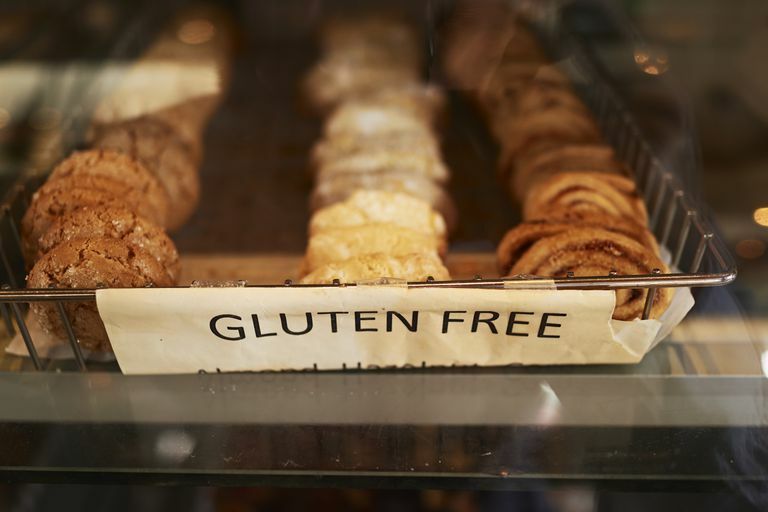 Some celiacs and gluten-sensitives who are on the more sensitive part of the gluten spectrum limit themselves to only certified gluten-free products as a way of avoiding reactions. Many products that are certified gluten-free actually have no detectable gluten in them (again, available testing technology will detect gluten down to about 5ppm, or GF-5, levels). However, keep in mind that you actually might react to far less gluten than 5ppm, so choosing certified gluten-free products doesn't guarantee you won't react ... it just lowers your chances (albeit pretty significantly). In addition, at least one study has shown that certified gluten-free products may not contain significantly less gluten than products simply labeled "gluten-free." This is about as careful as you can get. If you eat a diet that contains only whole foods — in other words, nothing that comes in a package or has more than one ingredient — you'll be able to eliminate the most trace gluten from your diet. Sadly, however, even some whole foods are cross-contaminated with gluten. Here, it's likely the farming practices that are to blame: most farmers use the same equipment to harvest, transport and store gluten grains and non-gluten crops such as other grains, soybeans, legumes and even sunflower seeds ... and these crops become contaminated with gluten due to this shared equipment, albeit at a very low level. Now, this isn't something you need to worry about unless you're very sensitive to trace gluten, or if you're trying to steer clear of all gluten for other health reasons (or simply on principle). But it is something to keep in the back of your mind, especially if you continue to experience "mystery glutenings" even after switching over to a completely whole foods diet.